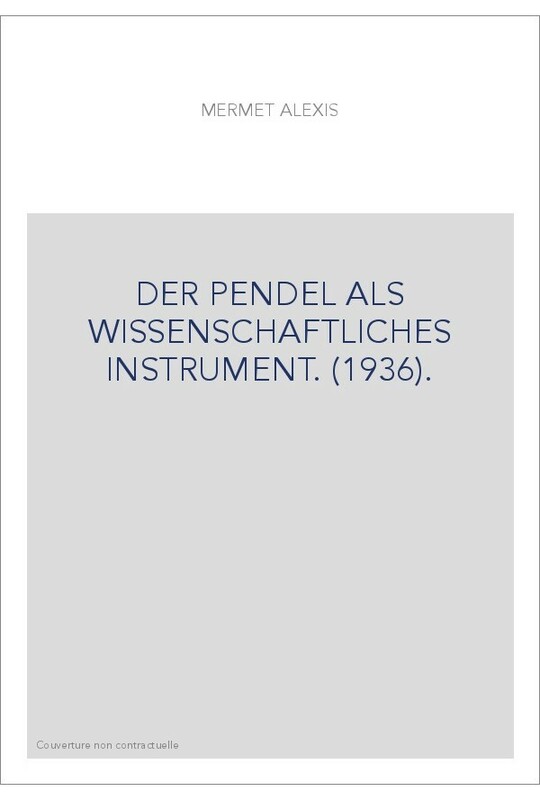 » Slatkine Reprints-Érudition»DER PENDEL ALS WISSENSCHAFTLICHES INSTRUMENT. (1936). DER PENDEL ALS WISSENSCHAFTLICHES INSTRUMENT. (1936).